I worked with the amazing acrobat and dancer Gabrielle Cook for a concept involving contemporary dance, motion and colour. 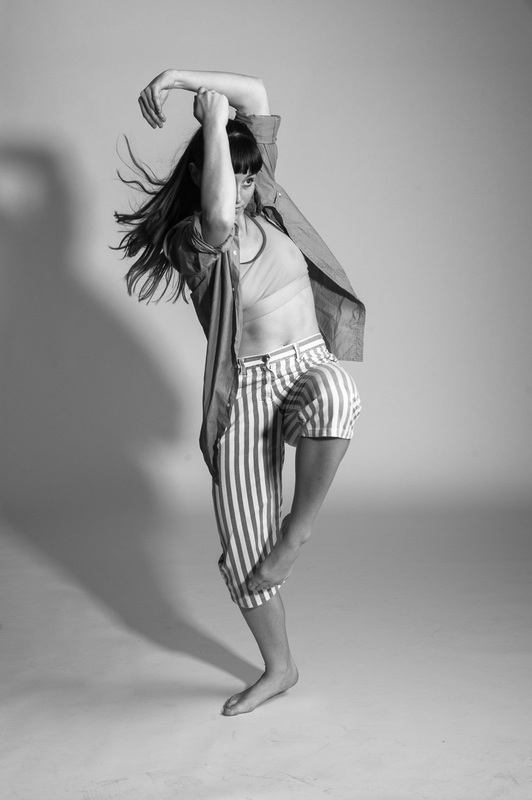 Gabrielle is an amazing contemporary dancer, very physical and expressive. I was keen on capturing her body language in both a series of poses, which I ended up overlaying in a multiple exposure shot in order to better illustrate the point of them being part of a motion, and not isolated poses. For our second look we went for a more directed look showcasing poses, where I was able to create more precise lighting. I wanted to create something that had a ‘slightly off’ feeling to it, and hopefully would move away from bland dance pictures. 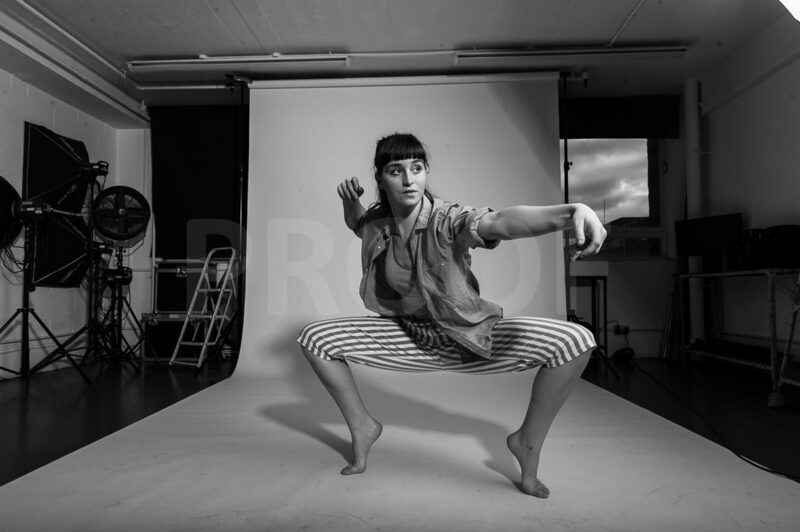 Again Gabrielle did an amazing work with a series of sculptural poses yielding to very interesting images. This shoot was a great example of how sometimes you need to let go with the subject and resist the urge to micromanage the look: we knew from the get go that we’d achieve better pictures of Gabrielle’s dancing by setting up a more uniform lighting which would allow her move. After just a few indications of what works best on camera, we were ready for action, and this allowed the dancer to get into her mental flow without having to constantly interrupt her. Poses gave me however a greater creative control on the aesthetics of the image, and the challenge there is how to still give the performer a comfortable degree of freedom in the movement while at the same time keeping control on the lighting. I thoroughly enjoyed this shoot and love the images we got from it!